This briefing summarises CIfA and CBA’s advocacy position on the EU (Withdrawal) Bill, currently in Parliament - They are are working with colleagues in the historic and natural environment sectors and will be presenting government with constructive options for appropriate protections which we hope to see reflected on the face of the Bill. From November, Parliamentary debates on the EU (Withdrawal) Bill – formerly known as the Great Repeal Bill – are taking place in Parliament. The Bill is the statutory implement which will ensure that the body of EU law that currently exists will be transferred into UK law when the UK leaves the EU. The Bill sets out the process by which European powers, including the Environmental Impact Assessment Directive and Strategic Environmental Assessment Directive, will be transferred. CIfA and CBA’s current priorities on Brexit reflect a wide range of potential risks and opportunities presented by the structural, legal, and constitutional implications of leaving the EU. The EU (Withdrawal) Bill is one of the important means by which these aims will be achieved in the medium term. In addition, CIfA and CBA are engaged with issues relating to the replacement of the Common Agricultural Policy, securing appropriate provisions to mitigate Brexit-driven impacts on the demand for archaeological skills, and mitigating impacts on higher education institutions. They are currently working with colleagues in the historic and natural environment sectors to combine how to best approach lobbying on these issues. So far they have responded to a number of consultations, and are engaged with actions being taken forward in a variety of fora and working groups including Wildlife and Countryside Link, The Archaeology Forum, Historic England’s Brexit evidence gathering group, Heritage Alliance’s Rural Heritage Advocacy and Spatial Planning Advocacy Groups, Heritage 2020 working groups, and Built Environment Forum Scotland’s Brexit Task Force. 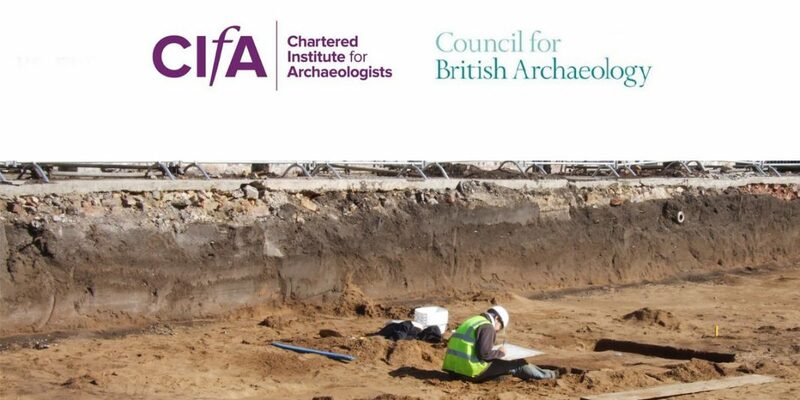 CIfA and CBA members are encouraged to contact their MPs to ask them about these issues and exert pressure on parliament to recognise the potential impact that any weakening of environmental protections could have on archaeology and the wider environment. There are useful guidelines on writing to MPs from the Council for British Archaeology, RESCUE , and the Built Environment Forum Scotland. RESCUE (supported by BAJR) has also produced an ‘open letter’ to parliamentarians which is collecting signatures and aims to highlight the issue of and scale of support for environmental protections and their importance to archaeology. You can sign the open letter here.